Bright Skylark Literary Productions is a multi-tiered intellectual properties enterprise with a mission dedicated to the production, promotion, and preservation of fine literary craftsmanship as an essential component of the cultural arts. The initiative to date has produced acclaimed memoirs, celebrated fiction, award-winning creative non-fiction, award-winning poetry, influential essays, innovative visual art, and creative adventures in inspired originality. 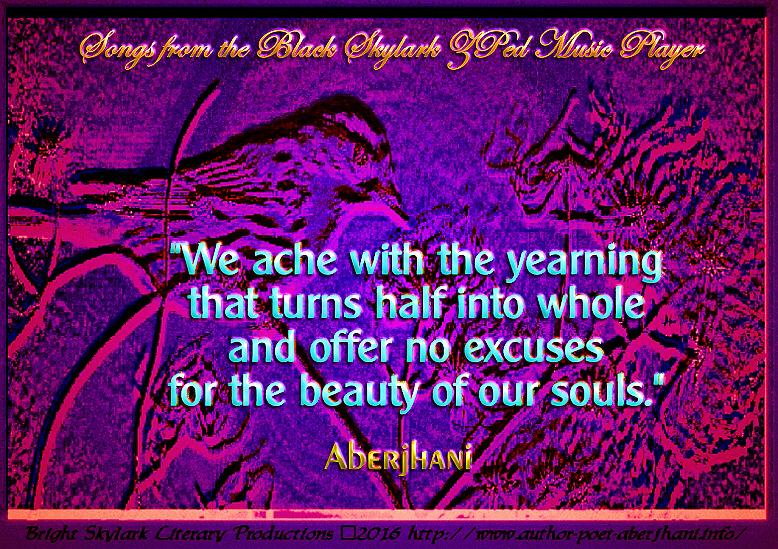 While Bright Skylark has been recognized as a major supporter of works by Author-Poet Aberjhani, it has also served as a much larger umbrella for several publishing and website imprints. In addition, it has functioned as the editorial anchor for a number accomplished partners and clients. Literary imprints have included Black Skylark Singing and Creative Thinkers International (along with its former and current online satellite communities). In its capacity as an editorial consultancy and publishing industry liaison, the organization has been honored to help valued clients achieve the publishing success they desired. Among the titles for which it has provided editorial services are the following: Sparky Fights Back, A Little Dog’s Big Battle Against Cancer (Clerens, J., and Clifton, J., 2005); What Leaders Believe (2010, Polk, C., and White, W.) Savannah, Immortal City, Vol. 1 of the Civil War Savannah Series (2011); and Savannah, Brokers, Bankers and Bay Lane, Vol. 2 of the Civil War Savannah Series (Sheehy, B., Wallace, C., and Goode-Walker, V., 2012). The Black Skylark Singing imprint originally launched in the year 2000 with the publication of acclaimed author and playwright Miriam K. Center’s novel, Scarlett O’Hara Can Go to Hell. It later served as a publishing partner for novels by ESSENCE Magazine-bestselling author Robert T.S. Mickles Sr. In addition, it produced a series of first editions of major titles by Aberjhani, including: Christmas When Music Almost Killed the World (2007); The American Poet Who Went Home Again (2008); and, The Bridge of Silver Wings (2009). The story of the Black Skylark Singing name goes back much further than the establishment of the imprint. It is part of a current work in progress. Websites published by Bright Skylark Literary Productions are designed to enhance visitors’ awareness of intersecting cultural, political, and educational developments. They invite you to explore the different ways that timelines of history overlap and how those connections impact how we live now, and how we may live tomorrow. In addition to the sites listed above, a number of others are currently in production. Combining engaging text with bold innovative visual creations, ©Postered Poetics is the digital graphics and fine art component of Bright Skylark Literary Productions. 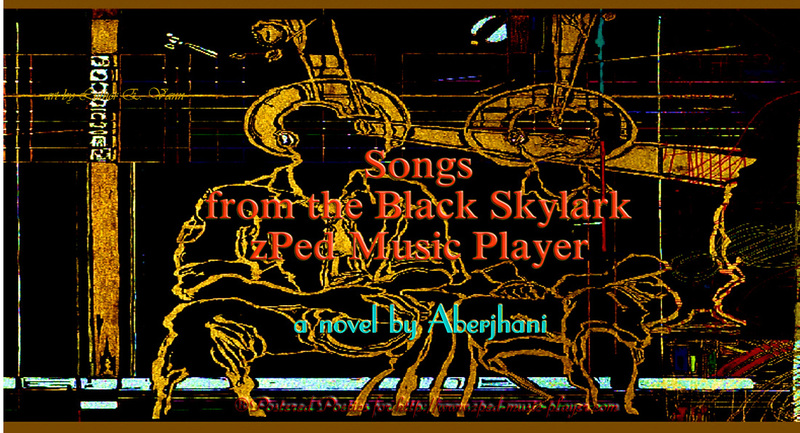 Postered Poetics header design for Songs from the Black Skylark zPed Music Player website. Original art by American artist Luther E. Vann (1937-2016). Its services and products have included a wide range of items. Among these have been attention-drawing book covers, title graphics for articles and poems, website banners, photography, quotation posters, image slides, and other highly-appealing works. In addition, Postered Poetics was among the front-runners in the development of the kind of illustrated quotes now regularly used with status update posts on social media profiles.